It’s hard to find good quality sushi in the burbs. Aside from Hanako in Surrey, I don’t know many sushi restaurants outside Vancouver that I would recommend. Granted, I haven’t been to every sushi restaurant outside Van, but I’ve been to a fair share of them, especially in Surrey and my findings are always the same: generic rolls, generic menu and generic taste. So when I decided to check out Ki Sushi in New Westminster with @phoelam I was a tad hesitant. Even thought I’ve heard good things about the place, I wasn’t sure what to expect. The restaurant was busy when we got there for lunch (always a good sign). We still got seated right away, and I was pleased with my surroundings: nice wood accents, lots of glass, very clean. Our server came right away to take our drink order. Another plus. I hate to wait for my drinks. See how beautifully red my salmon is? That’s wild salmon, not farmed. Now I know some people claim that farmed and wild salmon taste the same, but not to me. I love the flavour and texture of wild salmon, so imagine my delight when my sushi came with wild salmon without an extra charge. I was a happy camper! Instead of a standard California roll, I decided to try their New West Roll ($4.50). Instead of crab it had prawns and a tad of wasabi gave this roll an extra kick. 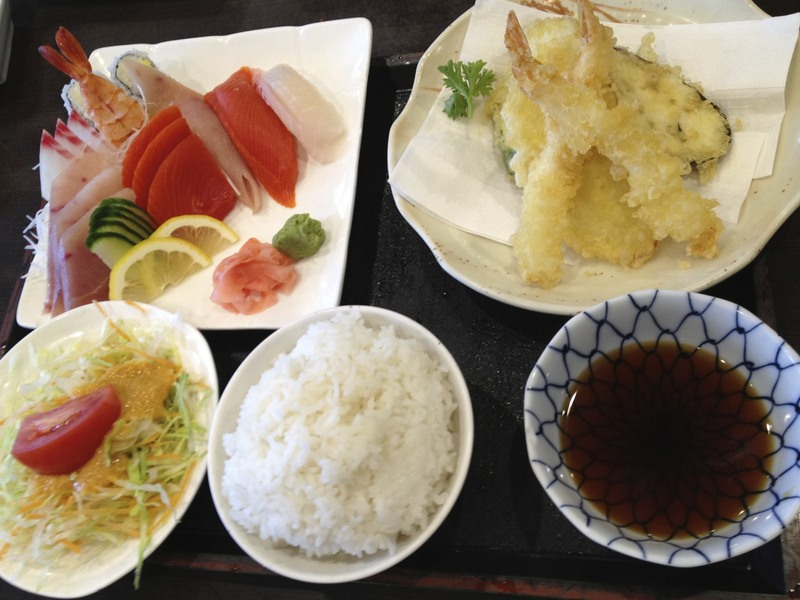 Another good alternative for lunch is their Lucky Choice for Lunch combos – 3 items plus miso soup for $8.95. Lots to choose from: rolls, sashimi, teriyaki dishes. Can’t beat the price, and it’s good quality food. 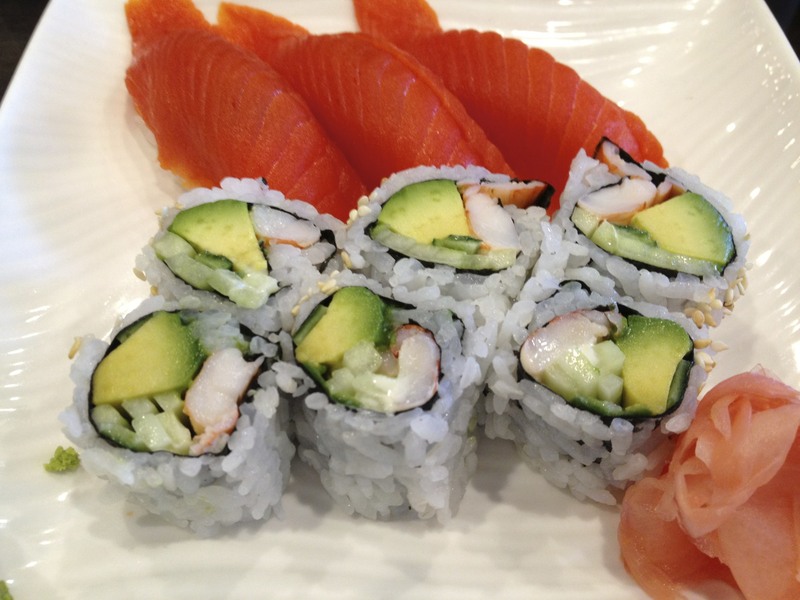 As far as innovation goes, Ki offers a few fusion rolls on their menu. In the end, I was pleasantly surprised with Ki Sushi. Solid food, good quality, good service and decent prices.